For many years I though Camel was through, at least with me, and that their only great works had been the four first albums. Fortunatly I happen to hear the Harbour fo Tears CD and it made me change my mind. That record was a perfect blend of celtic and prog music that many tried to do and never fully succeeded. It was a beautiful work and restore much of my lost faith in Camel´s name. Then came Rajaz. it is very inspired and almost as good as its precedor. Of course Camel is not the same as it was in the 70´s, but Andrew Latimer, the sole original member left, avoided all the trappings and temptations to make a solo career under the disguise of his famous band. The sound is truly a band sound, rich and full of energy. His guitar solos are simply amazing, but the songwriting did not diminished either. Even his vocals are more mature. His range may be not that great but he compensates everything with a sincerity and emotion that makes it sounds perfect for Camel´s new music. Much of the old spirit is here. I hope he does more albums like those two. 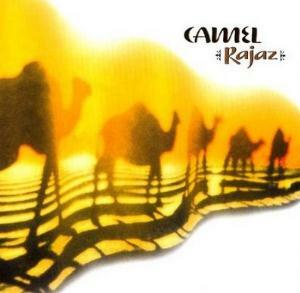 If you like Camel´s first four albums and miss the magic, try Rajaz and Harbour Of Tears. You´ll not be disapointed. Music from the heart and soul. 4 solid stars.